This pretty little Aster is currently flowering in my garden, but it was a cutting and I have no name for it. Any suggestions? 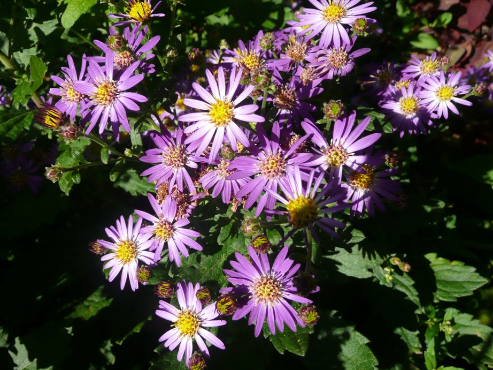 It was identified for me by Mim at Yellow House Heritage Perennials as Aster ageratoides Ezo Murasaki. No wonder no-one remembered its name!Not flowering at the moment but spreading quite rapidly and with a long bloom time. Comment on "Aster ID needed please"